Court proceedings began this week in the trial of three alleged murderers of UK poker player Mehmet Hassan, who was found dead last March following what authorities assert was a “honeytrap” robbery plot. 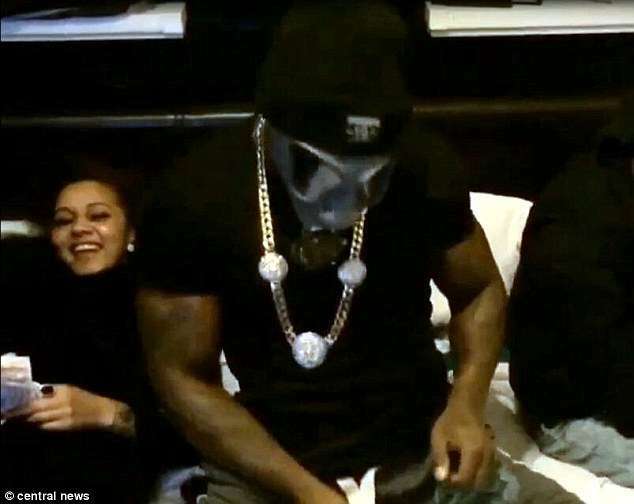 Hassan was left bound, beaten and fatally injured in a home invasion orchestrated by a female companion of Hassan’s and as many as six male accomplices, some of whom have also now been implicated in armed robberies of two employees of the Grosvenor Casino in South Kensington last year. The case involving Hassan, 58, ended most tragically. According to prosecutors, Hassan began dating Leonie Granger, now 25, not knowing that she was only interested in his money, which Hassan, a high-stakes poker player at several London-area casinos, casually bragged about keeping in various stashes around his Islington flat. This week’s trial involves Granger and two of her cohorts, Kyrron Jackson and Nicholas Chandler, now both 28. Jackson is described as being Granger’s real boyfriend, with Chandler being a close friend of Jackson’s. Several new pieces of information emerged this week in the opening phase of the trial, in which prosecutors laid out their case. Among them were the fact that Granger presented herself as “Rachel” to Hassan in a series of meetings and dates leading up to the planned home invasion and murder, and that Granger and others allegedly filmed themselves celebrating the robbery and throwing the money around Granger’s own flat — even as Hassan was presumably dying of injuries sustained during the robbery. Prior to his murder, Hassan was reportedly celebrating a £3,000 poker win at the Palm Beach Casino in London’s Mayfair District. Hassan invited “Rachel” back to his flat, unaware that Granger’s real purpose in going there was just to learn the exact location of the various stashes of money Hassan secreted there. Authorities allege that Granger remained in contact with Jackson and the others, who kicked and beat the bound Hassan. A Daily Mail report includes a statement from a cab driver who testified transporting Granger in his cab while the robbery was occurring. Granger allegedly told someone on a phone, according to the cabbie, “Swear down! I don’t believe it. Don’t tell me the money’s not there! I saw it. Look in the drawer. Look under the cabinet.” The phone she used was also later established to be Hassan’s property. Jackson and Chandler are also implicated in the separate cases involving the robbed Grosvenor Casino employees, and face a series of charges related to those incidents. Among the charges facing the pair from those separate matters are counts of robbery, false imprisonment, and the creation of imitation firearms otherwise banned under British law. Jackson, Chandler and others are also alleged to be the criminals behind armed robberies which took place at the Grosvenor in January and February of 2014. The criminals had cased the casino’s operations prior to the robbery, which still garnered them over £10,000, but far less than they had hoped and planned for.